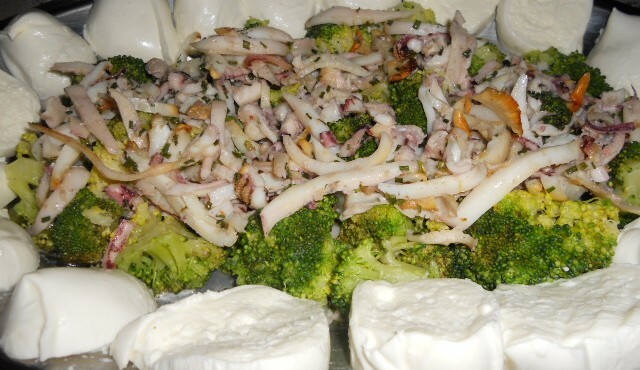 Antipasti: pesce | CUCINA ITALIANA – ITALIAN FOOD | Il cibo con il sole dentro – With the sun inside! 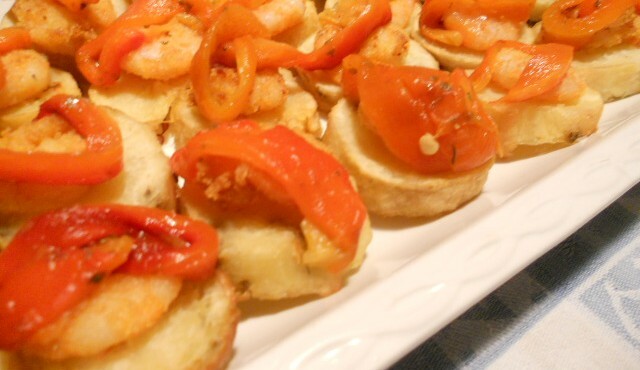 If you do not have very patient helpers, you can’t do this appetizer! Luckily I had Nadia, who has been complaining an hour but prepared chicory, and Rachele, who with holy resignation, prepared all the rolls! Blanch surimi sticks in boiling water for two minutes : careful No more, otherwise it will mash! Drain and cut into small pieces and season with oil, salt, lemon juice and pepper. With a potato peeler, fillete the zucchini in thin strips, arrange on a plate and season with salt. 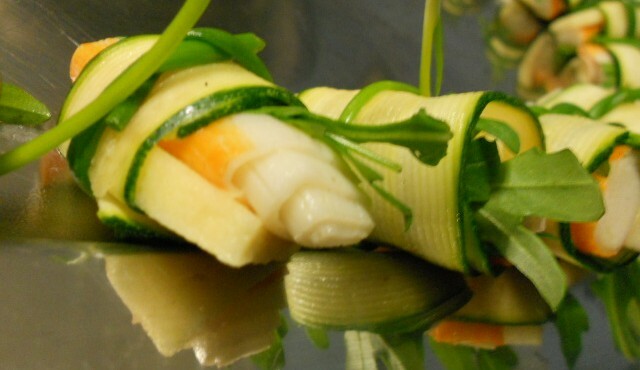 Within each slice of zucchini, put a stick of surimi, a tuft of arugula, a stick of apple, wrap and tied with chive. Serve the rolls with chicory salad prepared like this. …Good! The ingredients are: sheets of rice paper (buy it in Asian shops ready), cabbage /sauerkraut and sour ( I suggest you to buy it in the can), prawns. 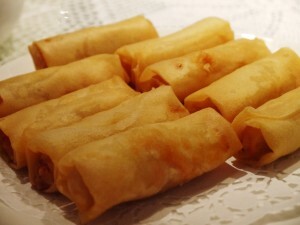 Soak rice in water to soften the paper, put a bunch of cabbage and a shrimp, carefully roll up and fry in hot oil. Serve with hot sauce. …. let’s make them a little ’different! Make a cream half gorgonzola and half mascarpone, spread this on slices of bread. 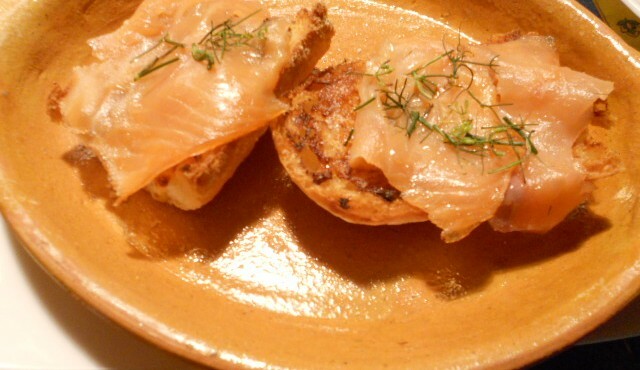 Heat in the oven, when still warm put on the salmon and wild fennel …. GOOD! 1 Octopus of about 800-900 grams. In abundant salted water, boil the octopus (previously gutted), for about 40 minutes. When cooked, cut into 4 pieces and drain well. Take a plastic bottle and cut it to create a container. 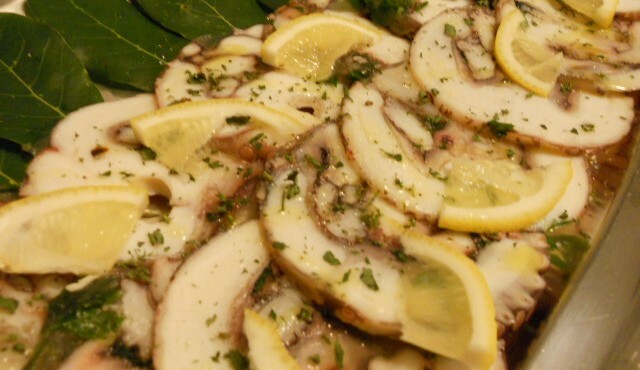 In a bowl, season the octopus with lemon juice, salt and pepper, and place it inside the bottle trying to remove as much air as possible. Press well, also using a bottle if necessary. When everything is well pressed,put it in the fridge for a few hours and then in the freezer until time to serve. Cut it in thin slices, still frozen, (with the slicer is great!) and arrange the slices over the laurel, season with a drizzle of olive oil, a pinch of salt, and mint leaves. Cut arugula and cook it in a pan for 5 minutes, with oil and a clove of garlic minced. 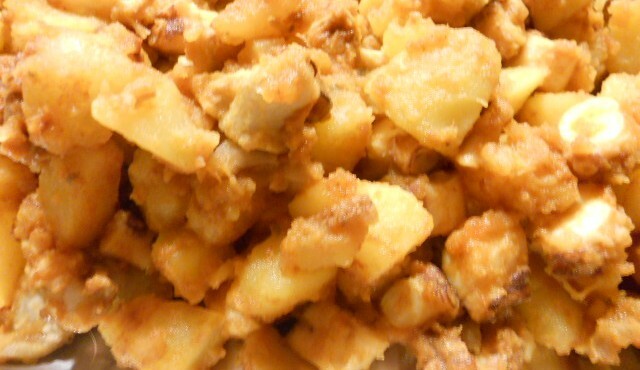 Bread cod fillets with cornmeal and cook in the arugola, until golden brown. Add salt and let them cool. 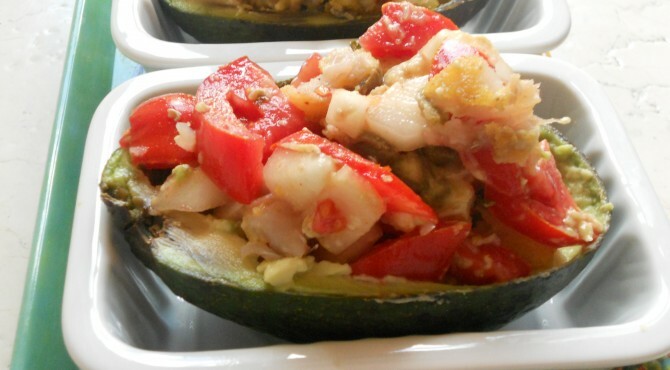 In a bowl, cut tomato and cucumber into small pieces, add capers and the pulp of the avocado, salt and chili. 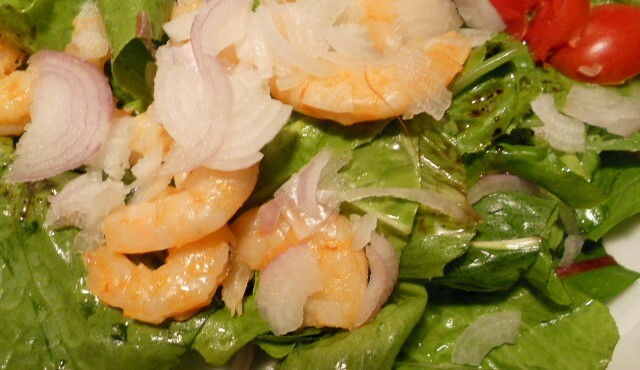 Cut cods’ fillets and add to the salad. Place the mixture inside the skin of the avocados and keep in refrigerator until time to serve.